When people hear the word divorce they think of the ending of a relationship, with destruction that is close to follow. Although divorcing a marriage can leave a trail of storm dust behind there is also good that can come out of it when we remove the dirty from the word. The divorce that we are talking about here though is more than just marriage; it is letting go of the things in life that are holding us back from thriving. Understanding that life is not perfect and there are seasons of vulnerability that causes us to take a step back. Letting go doesn’t have to be painful, look at it as a time to reflect and contemplate, a time to slow down in preparation for something bigger, the very thing that we have been desiring and waiting on, a break through. The only way to gain that shift though is by doing something different, that includes but is not limited to, letting go of negative thoughts and of poor lifestyle habits like eating too much processed foods, slimming back on spending, putting the breaks on jam packing our schedules, and removing ourselves from toxic relationships that are negative and non-supportive. When we surrender and let go of what no longer serves our highest purpose we make room for growth, which opens us up to, flow and propels us toward a larger destiny. In order to let go we must first identify stumbling blocks that are weighing us down and holding us back from living our best life. Secondly we need to accept the things we cannot change and take action towards the things that we can change. Then as we make the choice to release it is important to forgive ourselves and anyone along the way who has held us back; remembering that everyone and everything that has shown up in our life has done so to teach us something about ourselves. Finally we move forward leaving behind the past and divorcing it all with grace, kindness, and blessings so we can gain back our strength and finally come into our authentic self, moving along in progress, breaking through the barriers that have been holding us back from abundance and greatness. Bringing us back to the positive badass human beings that we truly are, so we can move mountains and transform the world. Now as we come into alignment with flow; the direction of our purpose, we gain clarity and calmness knowing that all will unfold exactly as it’s supposed to, in perfect timing as we take the steps to move forward in the direction of our dreams. 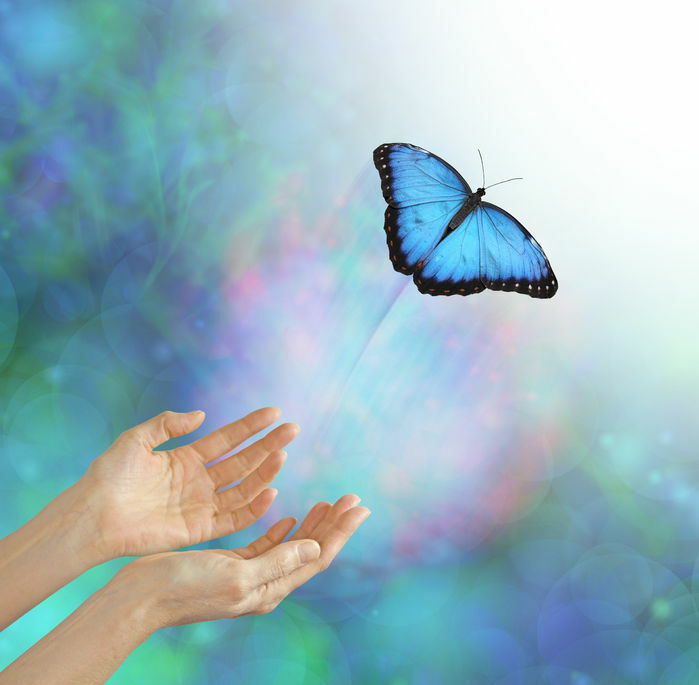 By letting go we experience inner freedom and peace as we become unattached from the things that were taxing us emotionally, mentally, physically and spiritually. We are more aware, increasing our personal value and we begin to attract more positive people and opportunities into our life, ones that are fulfilling and sustainable. Step by step, day-by-day we evolve and step into our power, opening up to a world of infinite possibilities. If you feel stuck and are looking for answers and are trying to determine the stumbling blocks but need help in figuring out the areas of life that are no longer working click here.